Oh I love this one! 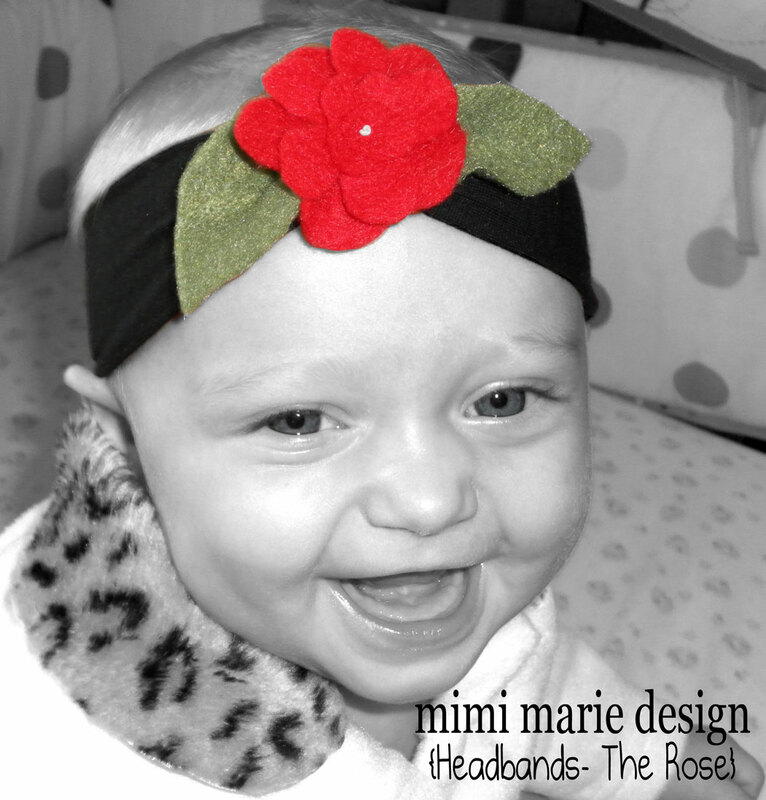 The Rose is a red felt flower on a black headwrap! So soft and so cute! Makes a fabulous gift for any little sweet pea!